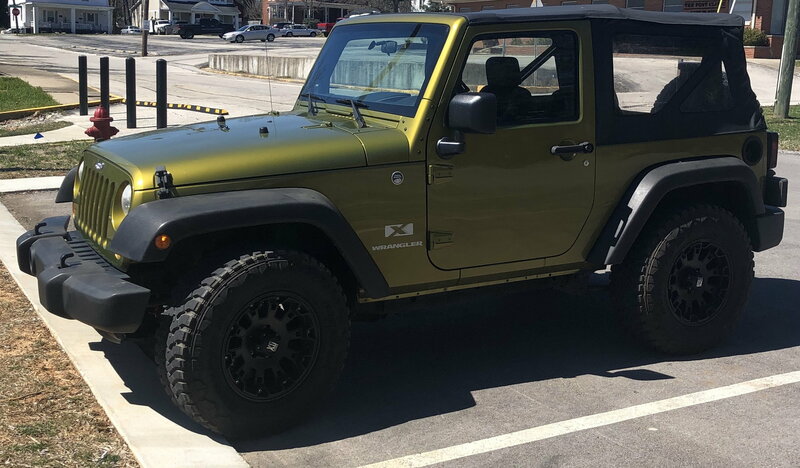 New owner of a 2007 JK. All stock except wheels and tires. Wanted something to make my own. I’m a mechanic and will have a service truck parked in the driveway right beside my new Jeep. This may get interesting!! Last edited by Jeepin’boyScott; 03-23-2019 at 09:33 AM. Rescue Green- fine color choice! Welcome to the addiction. Let the fun begin! Welcome. Lots of info on this forum, and a good group of people supporting it. Welcome to JK forum... sounds like you've got access to the right equipment to make mods much easier! Congratulations on your exciting purchase! There's an amazing community of owners and vendors here. I'm sure you will find new friends, tons of information and great ideas for your Jeep here! Congrats man! Love the color! My wife always wished we had that color instead of Blue, then it was Mango Tango, then it was Gecko Green... Welcome, have fun with the Jeep we certainly have options when we go to modify or build on them! Quick Reply: Finally the day has come! !